Archie Smith started forward for us on the weekend, swapping in and out of the ruck with Westy. 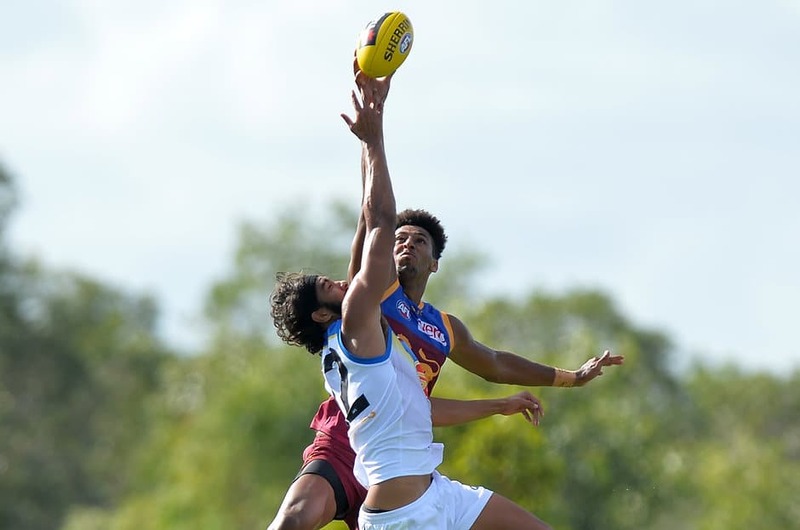 Brisbane Reserves Coach Shane Woewodin gives lions.com.au his appraisal of each of the listed Lions who played against the Gold Coast Suns. “From a performance perspective we were OK early and thereabout at quarter time. “I thought our pressure and our ability to create front half turnover was good early in the second. However from about the 10 minute mark onwards and for the rest of the game we were probably not competitive and our effort to really smash in around the contest was a bit non-existent. “Gold Coast’s ability to get to contest to contest and their ability to spread far outweighed us and we weren’t able to go with them for the remainder of the game, which was a bit disappointing . Archie Smith Started forward for us on the weekend, swapping in and out of the ruck with Westy. I liked his work around stoppage, there were a couple of really aggressive moments from Archie. I thought he did some really good stuff around centre bounce. He faded a little in the second half. We’ll be looking for more consistency from Arch throughout the day. He didn’t have a big impact on the day and neither did any of our talls, really – probably bar Matty Hammelmann. Westy played ruck/forward again. He was a strong body around the contest. We’ve probably just got to get better use out of our first hands of our rucks, particularly at ground level. We’d like to see more impact around the ground from our two key rucks and their ability to have a good combination together to get full benefit from what they do. Michael Close Had a limited impact, Closey. He got injured early, he played out the game but it probably restricted him and his output. What he does well is to crash packs and contest in the air which he wasn’t able to do. He didn’t get much of a look at it throughout the day. Our best forward on the day. He kicked 1.5 and had some opportunities. He still needs to work on his defensive game particularly when the opposition win the ball. I thought his smash in was better. He presented a lot better. Still some aerial stuff he needs to work on in the contest. An improved performance for Josh on the weekend. He played more of his role in that he was able to hit the scoreboard and was better in the contest. He played more the half forward role which we expected him to do. Limited output on the day. He still did a couple of good things. He looked to improve defensively in terms of what he is able to do – his three quick steps and his swivel head stance, which was pleasing to see. We’ll still look at his patterns and what he’s doing as a forward. We just need to see more pressure from our talls in our front half. Reuben played high forward/mid. He is still learning the role of what’s expected as a high forward. He continues to smash in. He’s running at the intensity we need and did a couple of really good defensive acts. He got hurt late and we didn’t see much of him after that, but he should be fine for next week. Not a great day for our mids. They got hurt inside the contest and certainly hurt outside the contest. That’s where these mids need to get better if we’re going to be competitive. Billy Evans Didn’t have his greatest game. He probably went backwards from the previous week. His ability inside the contest wasn’t great. He used the footy OK but his ability to get on the spread both offensively and defensively needs a bit of work. We’ll work through that with Billy. First game back for Jarrad after a few weeks off with a back injury. It was a good chance to blow the cobwebs out. He fumbled a little with ball in hands. He’s been working on it though which has been really good to see. He got hurt on the spread a bit. We want to see Jarrad work in and out of contests with a little bit more intensity leading into round one against Sydney. First game back for Joshy after an extended lay off with a foot injury. He played more as a mid before he jumped on the highway and flew to Perth as an emergency. It was good for him to get a run under his belt. He was clean at ground level and did a couple of good things around the ground. It was good to get some game time into him. Unfortunately he didn’t get any over in WA, but he’s back in the mix. Played more outside as a wingman. His ability to smash in and swivel head on opponents needs to improve. Offensively he used the footy OK. Missed out on some opportunities forward on centre, but it was a good run for him. Liam Dawson Probably wanted to play a more one on one accountable role this week rather than drop off. I thought he used the footy OK particularly from kick ins. We’ve got to promote more width from our defenders particularly in offense. His ability to kill the contest in a one on one situation and locate opponents was better. Voted the Players’ Player for the week. Apart from the first 5-6 mins when Peter Wright took some marks on him he was probably our best of the day. In terms of his contest work, he had a lot of spoils on the day. He probably could have taken a few more intercept marks, but it was a solid defensive display from Jackson after skippering the side for the day. OK in the contest. Once the ball hit the ground level we’re still focussing on in and out of hands with Hugh. We’re looking to promote more width again from Hugh as a defender. The backs were under a fair bit of heat, they had a lot of inside 50s coming that way on the weekend.